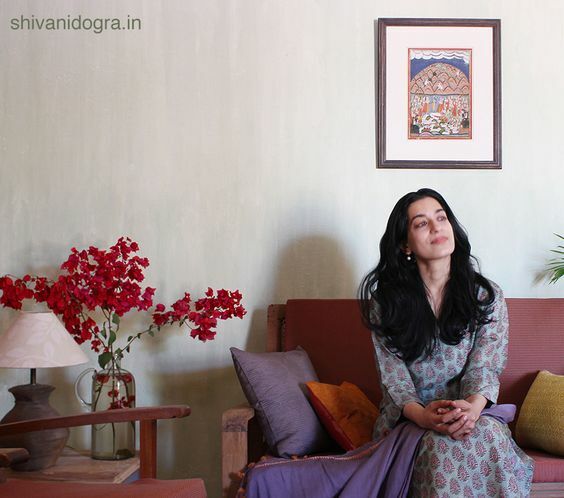 New Delhi based designer Shivani Dogra prefers old over new. With her sharp instinct for potential in forgotten and disused spaces, she along with her team revitalize residential and commercial properties throughout India. Here she discusses the inspiration behind her work and gives us a glimpse into her beautifully curated designs. You own a multi-disciplinary design studio based in New Delhi, India. What do you mean by “multi-disciplinary”? Shivani: We're a studio that's not limited to interior design but also decoration, table arrangements, purchasing, and restoration. What is your philosophy behind your work? Can you speak about restoring deteriorating and forgotten places? Shivani: Simplicity and authenticity. I strive to create spaces that are friendly, comfortable, and emanate a sense of security whether they're residential or commercial as people that are at ease with their environments are happier people and perform better on a personal and professional level. Steel and glass architecture to me are alienating and I lean more towards the warmth of natural textures, light, colours, indigenous craft and art. We work in collaboration with restoration architects on bigger projects. Our contribution includes researching and suggesting finishes and textures to the architect. And at a later stage, designing the interiors, space planning and decorating. We've done work on sites around the country that are between 60 to 150 years old. A work in progress inside a New Delhi apartment. What is your objective in restoration? Do you find that this contributes to society in any way? Shivani: To create areas of order and beauty for everyone to enjoy. Creating spaces that are “breathable” and natural have been proven to ensure better mental and physical health. I've most often converted dank, dark places plastered with vinyl and polyester into green and open spaces. Also, since most merchandise and materials are sourced from local vendors and artisans my team and I ensure a steady stream of income for them besides employing at least 20-40 construction labourers at site. How did you get interested in this idea? Shivani: Some of my earliest memories from childhood were of decaying colonial heritage and my inexplicable desire to do something for them. It was most of what I thought about back then. Whether it was how to rearrange a garden in school or fix the structure of a worn house, those thoughts were always in the background. It pained me to see this heritage treated with disregard. I think it must have been that I felt for the life in them when they were at their best and of the time in which they were built in—a slower, simpler, quieter era. Most of them were beautiful structures sometimes in skeletal ruins or garishly decorated. Also, I grew up in a home that placed high value on the hand crafted which was tough to let go of. In what ways does your work inspire you or give you satisfaction? 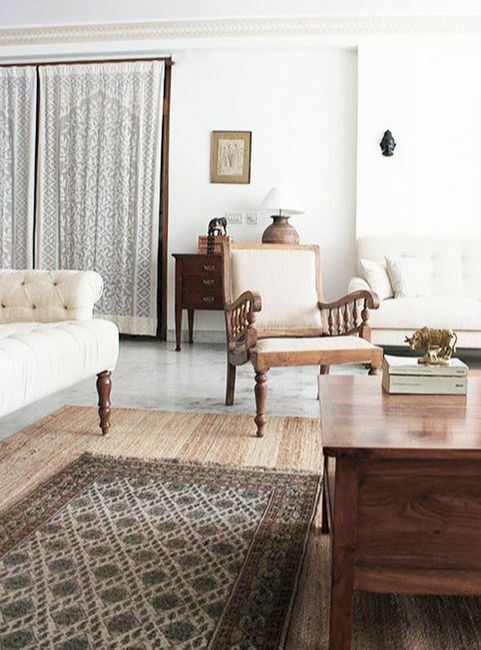 Shivani: In numerous ways—from the helping of artisans and local crafts persons to seeing clients happy in their new spaces to employing labour from around the country. This is work that helps uplift society at every level. In what ways does India (culturally, socially, or aesthetically) influence your specific vision? Shivani: Without India my work would not be. The people, the simplicity, the craft, the art, the fabric, the colours, the smells, the landscape, the depth of its philosophy and spirituality—all of it seeps into the world of my work and influences me every day. Shivani: No two days are similar—I could've planned a week to precision, but it invariably falls apart. A “regular day” would be to visit office in the morning and site in the afternoons. I start early with yoga and breakfast, in the office at 10:00 am, and work till 7:30-8:00 pm. And sometimes weekends. Shivani: Learning to manage people and the business side of things. Both of which don't come naturally to me. Shivani: There have been many pieces of advice given to me that I value, but the one I remember most often is biblical: “Trust in the Lord with all your heart and lean not on your own understanding; in all your ways submit to him, and he will make your paths straight.” It helped me through a lot of tricky situations. On site in Gwalior, India. Follow Shivani on Instagram and view her portfolio here.